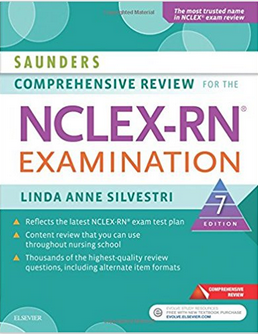 I used the 6th Edition and just received my RN license in the mail recently. I passed on my first attempt. My friend did not pass on her first attempt, so I recommended she try this guide. There are updates in this version. I would recommend the 7th edition because the exam has been updated since the 6th edition. I only studied for 1 month before the exam. I read at least ~75pgs a day (finished the book in ~15 days). I reread it again at a pace of ~100pgs a day (finished in ~10 days). I answered at least 75-100 questions a day on the online-exam component. I only achieved a 50-60% correct rating on the online exams. I found the 1000s of practice questions on the online component and the "pyramid points" essential to my success. The guide also came with an audio guides (in the 6th edition there was pharmacology, acid-base, electrolyte/fluids balances). Everyday, I would listen to the audio guides in the shower and while driving. I would recommended studying longer than 1 month. I only had enough time because I was unemployed and spent hours a day studying. I felt rushed, and depressed if I didn't read/answer my daily amount of chapters or questions. I thought I was gonna fail to be honest.